The Bentley Library will be closed on Sunday, July 1, and Wednesday, July 4, in observance of Independence Day. We will be open normal summer hours the remainder of the week. For more information, please view the hours calendar. Happy Fourth of July! 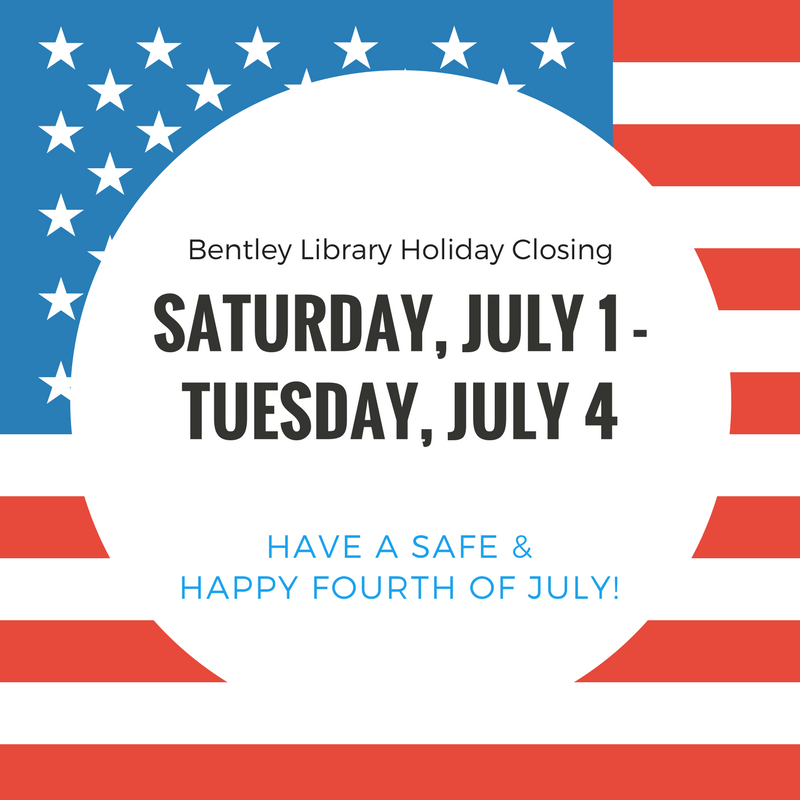 The Bentley Library will be closed during the Independence Day holiday weekend – Saturday, July 1 through Tuesday, July 4. Regular summer hours resume at 8:00 a.m. on Wednesday, July 5. For more information about the library’s hours please view our online calendar. The Bentley Library will be closed for the Fourth of July holiday weekend – Saturday, July 2 through Monday, July 4. Regular summer hours resume at 8:00 a.m. on Tuesday, July 5. For more information about the library’s hours please view our online calendar. Have a safe and happy Independence Day holiday! The library will be closed for the Independence Day holiday on Friday, July 3rd and Saturday, July 4th. The library resumes regular summer hours on Sunday, July 5th at 1:00 p.m.
For more information about the library’s hours please view our hours calendar. Have a safe and happy Fourth of July! The Bentley Library will be closed on Friday, July 4th, in observance of of the Independence Day holiday. The library is open regular summer hours all other days this week and weekend. For more information about our hours please view our online calendar. The Bentley Library will be closed on Thursday, July 4, for the Independence Day holiday. The library is open normal hours all other days this week! For more information about our hours please view our online calendar. 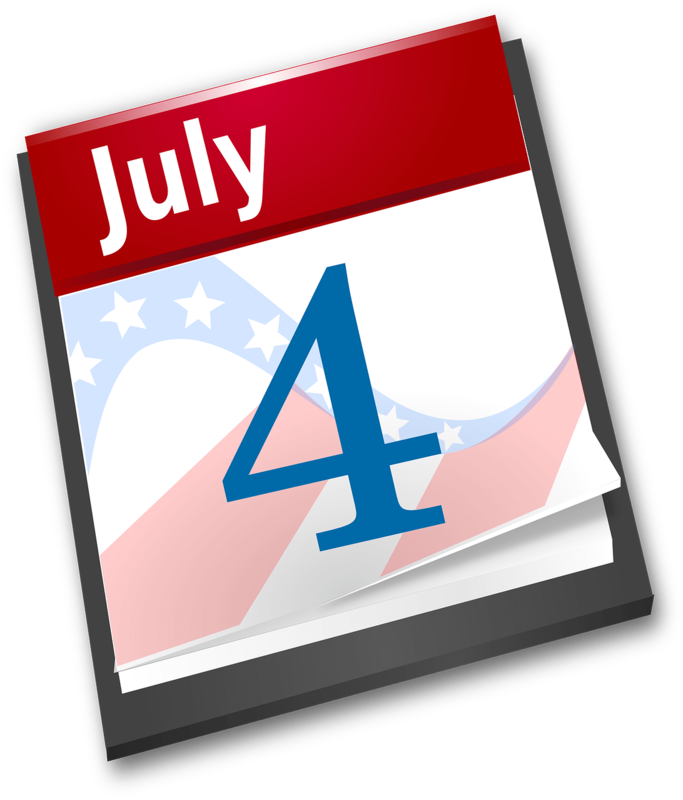 The Bentley Library will be closed on Wednesday, July 4, for the Independence Day holiday. For more information about our hours please view our online calendar. The library will be closed the weekend between the end of summer session I and the start of summer session II – Saturday, June 30 and Sunday, July 1. We will also be closed on Wednesday, July 4, in observance of the Independence Day holiday. For more information about our hours please view our hours calendar.